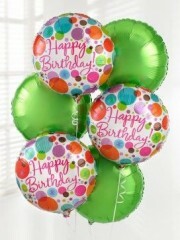 Congratulate someone on this special day with a surprise delivery of six helium-filled balloons. 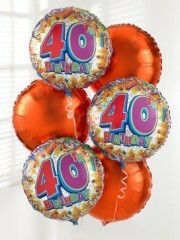 Our 40th Birthday Balloon Bouquet includes three 40th Birthday balloons and three Orange balloons - a gift they’re sure to love! 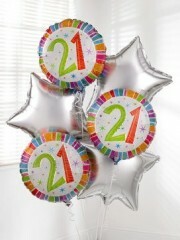 They only happen once a year for every individual, but to each person they are a celebration of another chapter in their life. 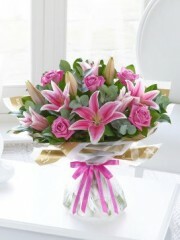 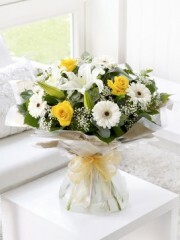 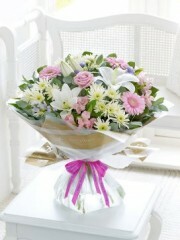 Four Seasons Florist Edinburgh have a wide variety of gifts and floral arrangements that can make any birthday special. 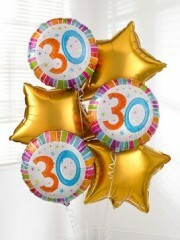 For each and every mile stone we hit in life, Four Seasons has balloons that cater for every age; 18th, 21st, 30th, 40th, 50th or even 60th birthdays, whatever you are looking for we are sure we have it. 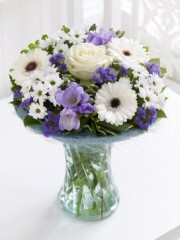 We have a library of exuberant flowers that can be hand-tied, arranged in a pot, vase or basket for your specific needs. 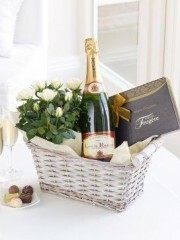 Why not add finishing touches to your floral display with one or more of our luxury gift sets; Chocolates that melt in your mouth, balloons that are bursting with fun, Champagne that will keep the conversation rolling and many more… If you want to prolong that special someone’s birthday so that they can celebrate almost every day instead of just the one, why not give them one of our many indoor or outdoor plants; jasmine, orchid or even stephanotis – all beautiful plants that flower and have a lovely scent. 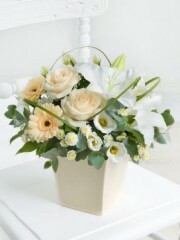 Each plant comes in their own container with a care guide that can be enjoyed for a long period of time. 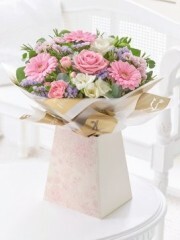 Birthdays are very popular with ourselves, many customers wish to send flowers or other gifts that will in turn make the receiver overjoyed with their present, try Four Seasons Florist Edinburgh today and our expert florists can help with your purchase.